De La Rue MA13 printings now available - and with printing dates! 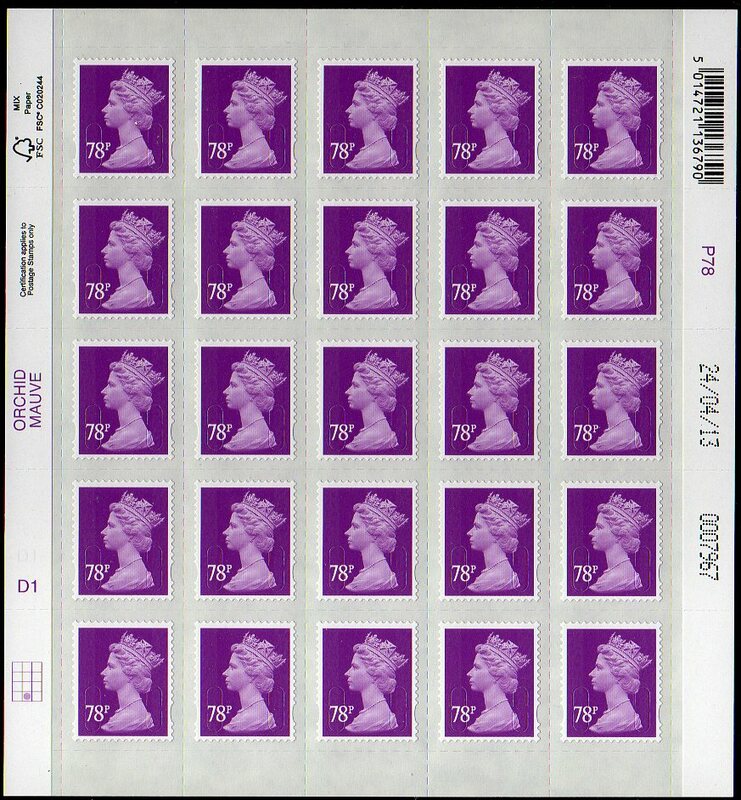 The story so far.... Postage rates increased as usual in the spring, but De La Rue (DLR) were unable to print all the stamps required and some were printed by Walsall Security Print (WSP). 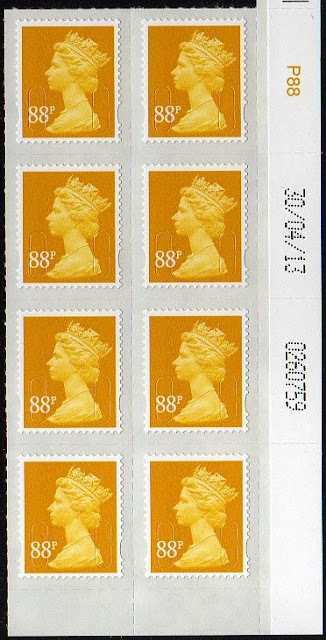 During May examples of the 88p and £1.88p printed by De La Rue appeared in some Post Offices - without the ink-jet printing of the sheet number and printing date in the right-hand margin. 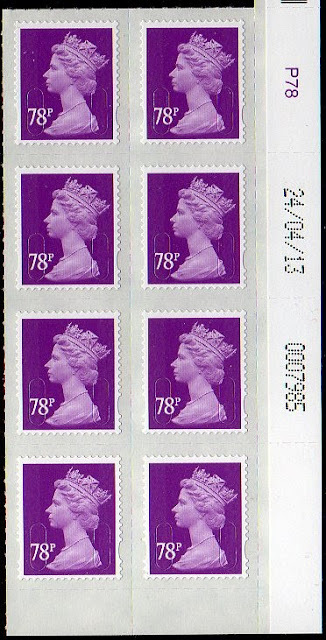 The 78p pays the surface letter rate and no DLR examples were found in PO branches at this time. We now have the DLR 78p with a printing date of 24/04/13, and the 88p with a printing date of 30/04/13. Cylinder blocks and date blocks are available for both these, and cylinder blocks and date blocks are once again available for the £1.88 value which has not - as far as we know - appeared with a printing date. Buy the 78p here, or click on the images. If the DLR versions on FDCs were from a coil (roll), shouldn't they have also had 'MRIL' security overprint? 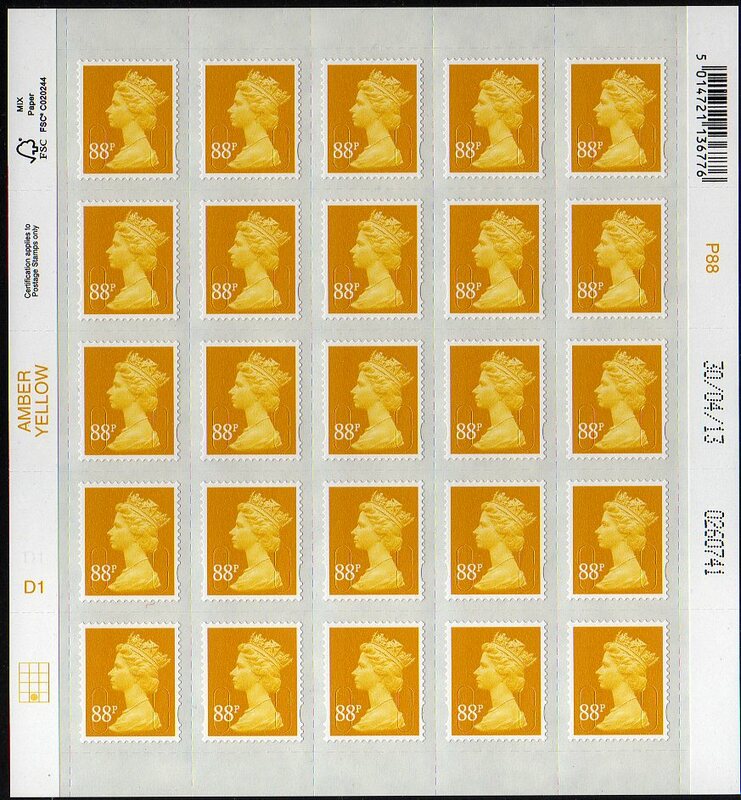 No, they were on a multi-value coil containing all the stamps; the coil was not available to direct mailers and was produced only for Royal Mail internal production purposes as has been the case since at least 2003.